Juventus appear to have a genuine interest in signing Borussia Dortmund midfielder Julian Weigl this winter. According to the football transfer rumours in Italian media, Juventus are linked with BVB 09 midfielder Julian Weigl. The Germany international was signed by Borussia Dortmund in July 2015 from 1860 Munich for a fee of 2.65 million euros. The 22-year-old has a valid contract with Borussia Dortmund until June 2021. Weigl has played 100 times for BVB 09 since signing from 1860 Munich, scoring two goals and creating one assist in that time. The 22-year-old is considered to be one of the best midfielders in Germany. Julian Weigl has represented Germany at Under-19, Under-20 and Under-21 level, winning 16 caps and scoring one goal, before making his senior international debut in May 2016. As a member of Germany national football team, Weigl has won 5 caps. 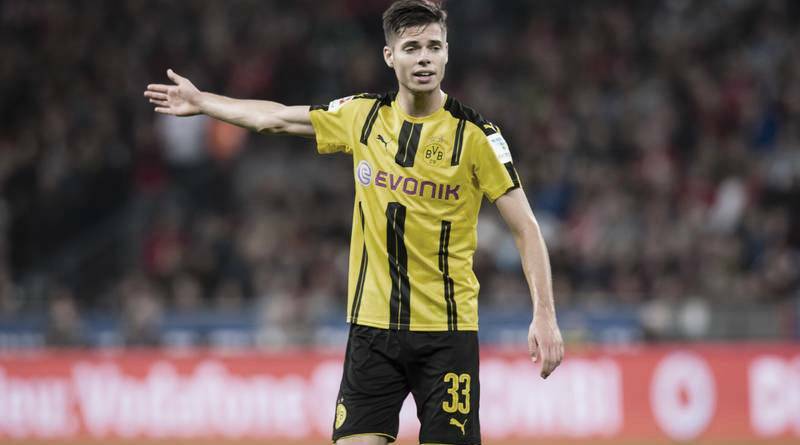 Massimiliano Allegri wants to sign a new midfielder this winter and Julian Weigl is one of the names at the top of his wishlist. He has always been a manager who keeps his eyes on the most talented young players across the globe. The Juventus manager wants to continue to strengthening his squad so they’re able to compete both domestically and in the Champions League in the second part of the season. The 22-year-old would be a very good addition for Juventus and they can afford him as well. According to the report in Italian media, Barcelona and Manchester City are also interested in the 22-year-old, while Real Madrid were linked with him at the start of the year. BVB 09 would not be prepared to sell him for any less than 50 million euros. It will be interesting to see whether Juventus make their move during the January transfer window.